While it is perfectly natural for seniors to forget things, their cognitive impairment should not affect their health or safety. Those who have been diagnosed with Alzheimer’s or another dementia-related disorder often start making mistakes with their medication, and that can have dangerous consequences. 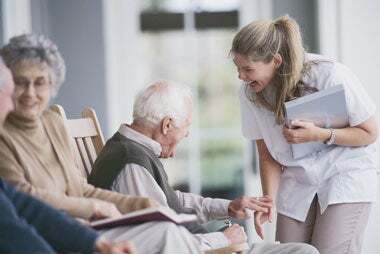 Even if they are not quite ready to start looking at nursing homes, they might benefit from an assisted living program to help them with daily chores and errands. Anyone who has been diagnosed with a chronic health condition should rethink their living arrangements. Common medical problems such as COPD and congestive heart failure should never be taken lightly, and most seniors will need assistance dealing with the side effects. After your loved one is diagnosed, you should ask their doctor about what side effects and symptoms you can expect in the near future. If you are not able to control those issues on your own, then you need to find professional help. Drastic changes to a senior’s weight, appearance, or hygiene are often caused by other age-related issues they are dealing with. While they might simply feel like they no longer need to worry about their hygiene or appearance, they could also be in the earliest stages of a dementia-related disorder. Before bringing up the possibility of searching for retirement homes, you can always ask them about how they feel. Regularly speaking with your loved one is the best way to determine if they are still capable of being independent. Many people are naturally introverted, but seniors who lock themselves away in their homes can do quite a bit of damage to their health. Positive social stimulation will reduce their risk of cognitive impairment, dementia, depression, and anxiety. They should be open to the idea of meeting with friends and family members at least a few times a month. Anyone who refuses to leave their home or interact with their peers is most likely developing a severe social or mental disorder. For more information and resources on assisted living options visit the Sienna Living website.